Lorena Angulo: Books Giveaway ! Lark Crafts is always looking to give the best options to their readers and this time they have published some books for simple and easy projects that will cost you less than 10 dollars each book. If you love books and to learn new ways to create jewelry and crafts these collection is going to give you the opportunity to do that. Simply Necklaces is a book that has 23 beading projects. The first part of the book is about basic techniques to create beading jewelry, it covers bead types, Making knots, simple loops, Oxidizing and much more. The projects are super fun and easy to make. I am sure you will be able to find a great project in this book and use those beautiful beads you may already have in your home.13 designers participated in this book. 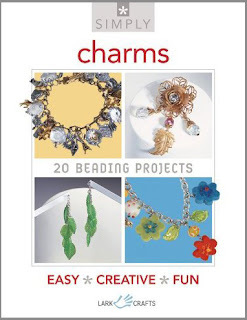 Simply Charms is another great book with easy to make projects. The book includes 20 fun projects to choose from. In the introductory part, you will learn some techniques like: Reaming beads, Drilling holes in metal, Making triangular wraps,Tying Knots and much more. 14 great designers participated in the projects which have a big variety of styles to choose from. 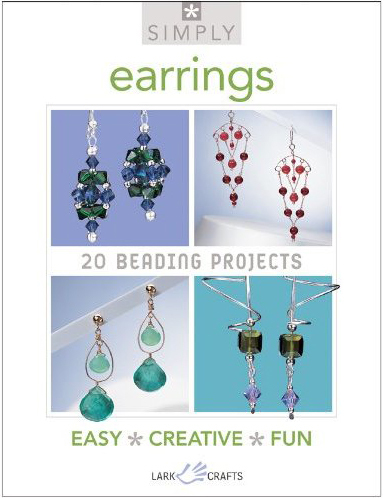 Simply Earrings includes 19 projects to create beautiful and easy to make earrings in different styles. You will have lots of options to choose from 9 great designers who participated in the book.The first part of the book covers the basic techniques you need to make the earrings. You will learn how to make Catches and Clasps, Working with head pins, Making earring loops and more. 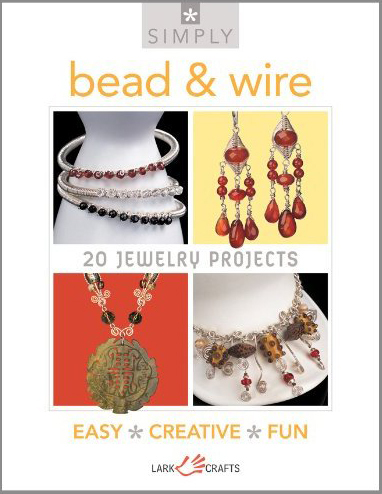 Simply Bead and Wire has 23 great projects where you will able to create a beautiful piece of jewelry without having to solder anything. The books covers Wire techniques like Straightening, Wrapping, Spirals, Links and Loops, Twisting and more. 14 designers participated in this beautiful book, giving you the opportunity to have different styles in each project. 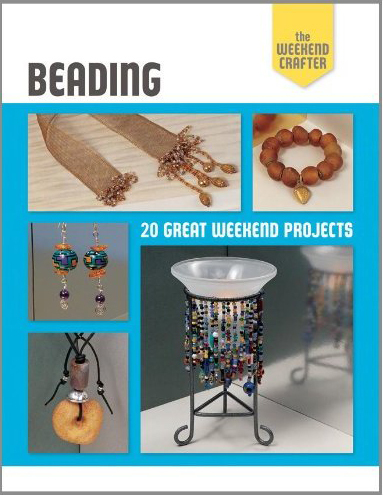 The Weekend Crafter: Beading is another good book with lots of fun and easy to make projects, ideal for beginners. You can find projects to create fun crafts and jewelry. This is a great book to spend a whole weekend making the projects and having a great time. The first part of the book talks about Beads, Beading Materials and Tools, Findings, Design Basics and much more. I am sure you will find a great project to make. I will give the winner the 5 books !!! What you have to do is post a comment here in my blog. If you are on Facebook and can be so nice to like my fan page, this will give you another chance to win the books. 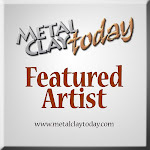 If you "like" my Facebook fan page, let me know by posting a comment here. I will pick the name of the winner on June 22 !! Good Luck and thanks for visiting my blog !! ... wonderful books .... bravo! Great books! Thanks for the opportunity. These look like a lot of quick fun! Just the thing for a few quiet moments. Thanks for the giveaway. What a great giveaway Lorena. Looks like some great project ideas. Hope you and your son are enjoying your summer. did the "Like" on FB, and doubly-like this blog. thanks for the excellent resources! What a great giveaway! I teach beading, wirework and metal clay classes, and these would be great to share with my students! I'm always looking for new books to inspire students just starting out in jewelry making. I just found your blog today and I liked you on FB. You make beautiful things! I really like your work. I've worked in glass, metal, and clay sculpture for many years and only recently started working smaller and making jewelry. I still lean toward using all of the materials I'm used to. But I have a lot to learn! Thanks for sharing. Thanks to all for participating and welcome to the new friends to my blog and Facebook page. Please I need to have some way to communicate with you in case your name is selected. There are two names here that I can not find a way to send you a message: One is Anonymous and Susan ;o). 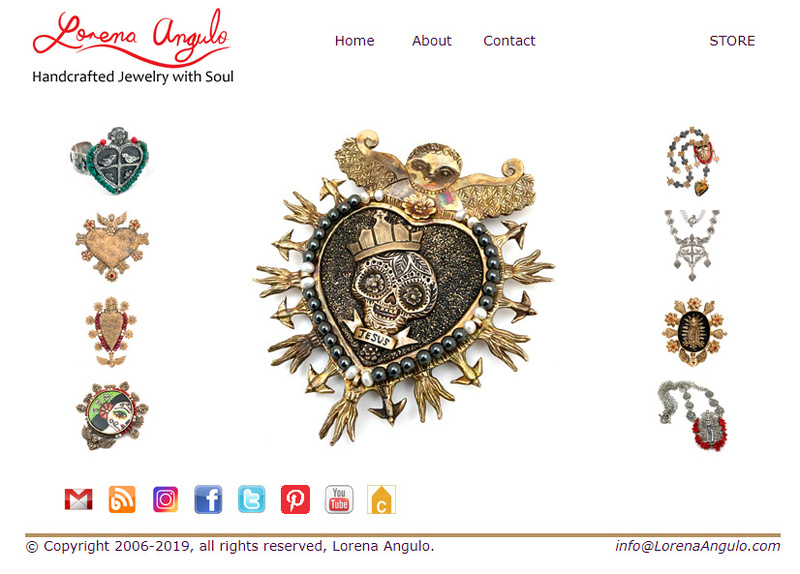 Love your work Lorena! It reminds me of hanging out in my favorite city, Santa Fe! I look forward to seeing more of your paper Clay work. I'm your new follower, thank you sooo much for this giveaway!!! Fabulous books, hope I get my luck to take them all home !!! Thanks for opportunity to win - Lark books are great! Fantastic book, I can use this for my jewelry business. So lucky to land on this page. I greatly appreciated this blog because I am also making jewelries and it's not just a hobby, it's a combination of arts and business. Looking forward also to fit with the trend nowadays and the style or fashion must be "in". 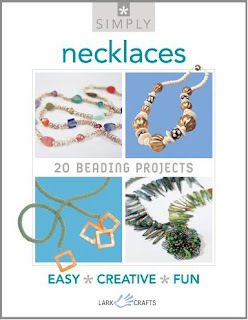 Great to know that there are books that also give some tutorials for jewelry making. I'll probably go for it. Thanks for this informative and very attractive post Lorena. I am so excited I found you. Your work is truly amazing. I am also following you on facebook. I would also like to thank " Red, White and Grew" for pointing me in your direction. Would love to win. Thank you!! Thanks for your visit and your beautiful words. The books were given away on the summer 2011. I will have more giveaways in the future.